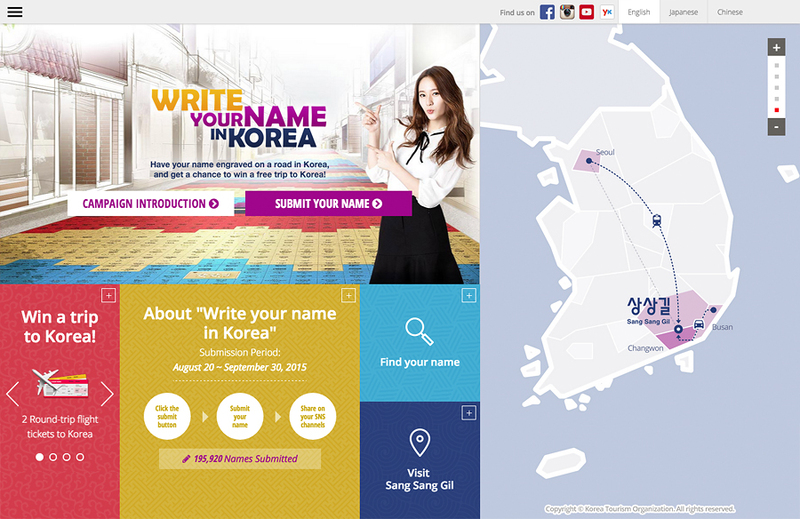 “Write Your Name in Korea” is a global tourism campaign conducted by Korea Tourism Organisation. By participating in the event, you will be able to have your name engraved on Sang Sang Gil (meaning “imagination road” in Korean) and take the first step toward making your imagination about Korea come to life! Sang Sang Gil is located in the city of Changwon on the southern coast of Korea. Building upon its rich history, the city of Changwon has become a cultural hot spot for up-and-coming artists, especially in areas like Changdong Art Village, which is full of tradition and artistic content. 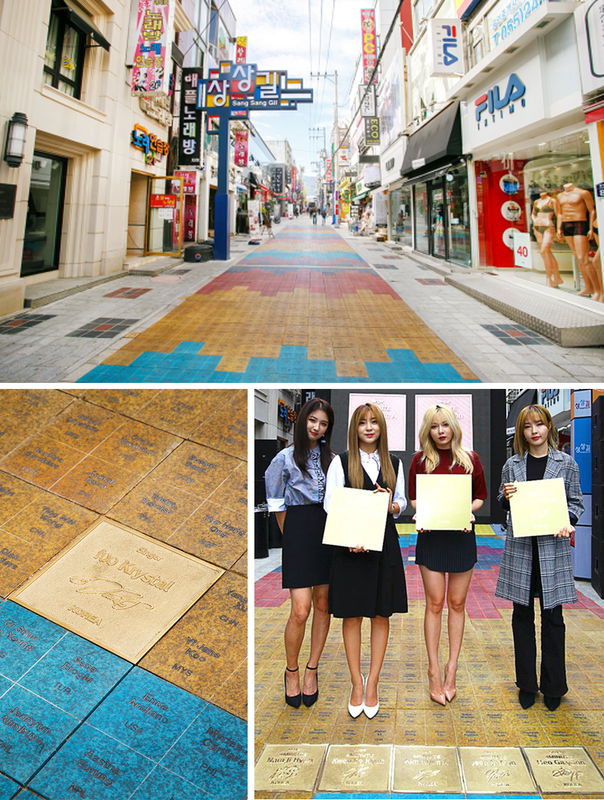 To generate more reach the campaign was endorsed by major Korean K-Pop celebrities, Krystal from f(x), and Hyuna. Over 20.000 physical engraved names on the road and over 195.000 campaign participants that got engraved virtually on our campaign page road. 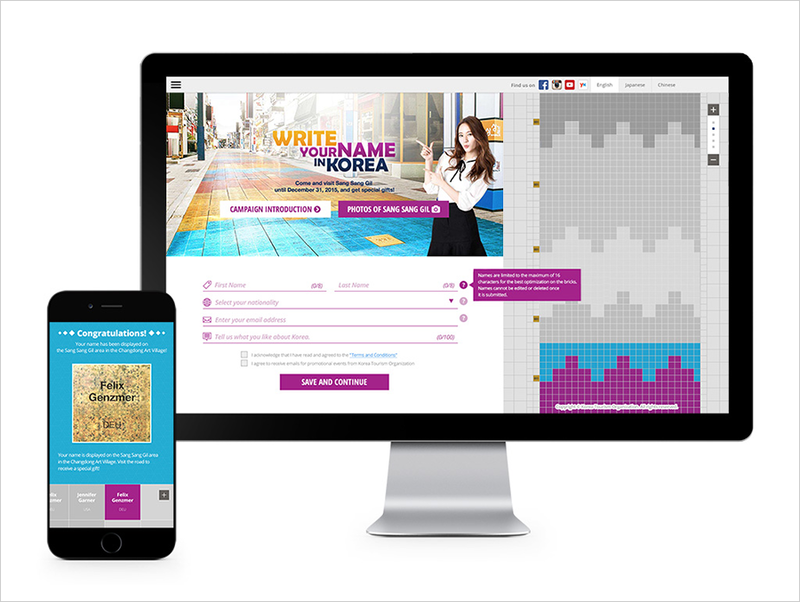 With the “Write Your Name In Korea” campaign Dmajor created so far KTO’s most successful digital campaign.